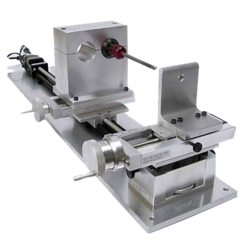 Pioneers in the industry, we offer horizontal honing tool, honing tool, jig fixture, vertical honing tool and multi gauging fixture from India. 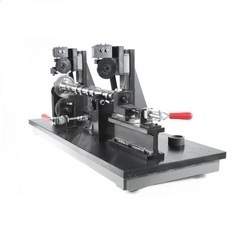 Riding on unfathomable volumes of industrial expertise, we are engaged in offering an excellent assortment of Horizontal Honing Tool that is used in various industries for sharping hard jobs. These honing tools are well tested on numerous quality parameters for make certain its flawlessness. Our honing tools are available with a choice of short long series tooling lengths. 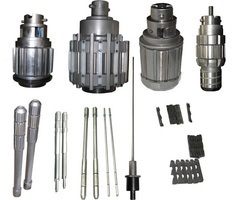 Customers can avail these honing tools from us at competitive rates in a promised time frame. A range of through hardened mandrels made from alloy steel. Being the leading names in the industry, we are offering an extensive range of Push Pull Action Honing Tool. The offered honing tool is designed from high quality components & contemporary techniques in accordance with the set standard. Our honing tool is checked on several quality parameters in order to supply a flawless range. Moreover, this honing tool is available from us on several specifications to choose from. 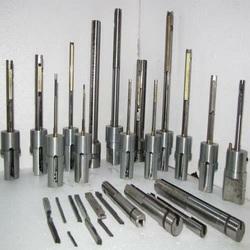 With assistance from highly qualified and knowledgeable professionals, we are engaged in offering Drilling Jig Fixture. Our offered product is manufactured by our skilled professionals with optimum quality material contemporary techniques. This product is broadly valued in the industry due to its fine finish high quality. Furthermore, this product is offered in various specifications as per the needs of customers. By keeping track of current market development, we are offering an outstanding assortment of Vertical Honing Tool. Our offered honing tool is used for honing of components such as connecting rods, engine cylinders & rocker arms. This honing tool is manufactured by quality assured material & modern techniques in compliance with set norms of the industry. Our patrons can purchase this honing tool in a bulk quantity within a given time frame.